Should you sit next to users during usability testing? 1. Can I sit next to the user during usability testing? Yes, absolutely. Though there is no methodology rule for sitting next to the user during the test. The reason you would sit next to them is to provide more intimacy, or "hands on" moderation. In other words to make the user feel more comfortable. 2. Do I have to sit next to the user during the usability test? Not necessarily. 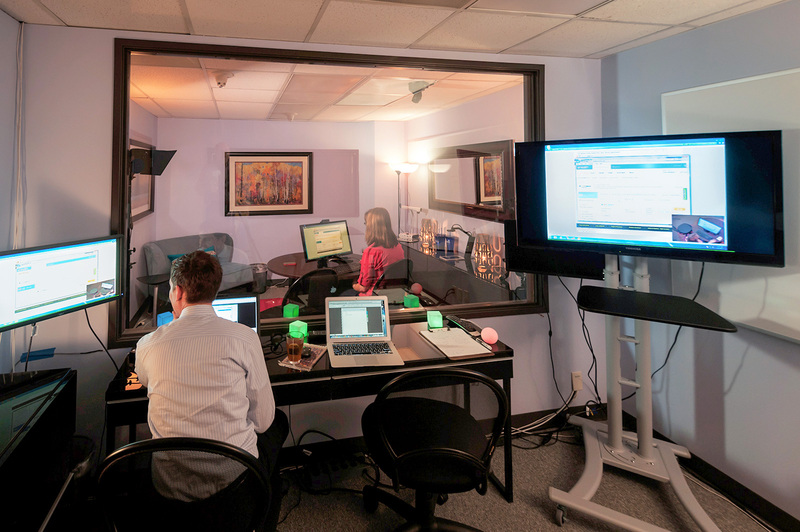 Our usability labs are designed so that you do not have to sit next the user if you choose not to. This is really a moderator preference. We find it is easier to use our intercom system to communicate with the user, leaving them to work alone on their tasks. There is less chance of moderator stress or participant bias this way.